Don’t forget about your favorite furry friend this holiday. 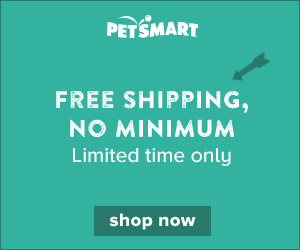 Whether you have a cat, dog, a miniature horse, or a pot-bellied pig, give them a comfortable place to rest their weary heads with a new pet bed from Petsmart. Save up to 60% on select styles when you purchase online, and get free shipping through 12/4. With tons of styles and sizes to choose from, you’ll be sure to find a bed perfect for your pawed pal. Click here to look at their great selection. Previous Offer: Honey Bunches of Oats, only $.97 at Rite Aid! Next Offer: Free Garnier Hand Cream — Get Yours Now!